Stellar Toolkit for Outlook is a comprehensive software package to manage and optimize Microsoft Outlook profile. Get tools to repair damaged or corrupt PSTs, convert OST to PST, merge Outlook PST files, split or compact large PST files, and more. What all you can do with the ultimate toolkit for Microsoft Outlook? My whole business depends on Outlook 2019. Overall! It is a complete solution for corporate users. I had run this software to repair, split and remove duplicates from my 18.5GB sized PST. This toolkit worked without any glitch. My PST file was so severely damaged that it could not even be copied. Your software worked perfectly and recovered all of my Outlook PST data. This recovery software certainly did what it said it would, I would have no problem using your products again. This module of Stellar Toolkit for Outlook is the best help in all those instances when the Outlook PST file is damaged or corrupt and you are no longer able to get access to your account. With this module, you can repair all corrupt PSTs and recover all the mails and the mail items in their original state. Convert either single OST to PST or all OST files into corresponding PST files. The software is equipped with exclusive ‘Batch Conversion Module’ having multiple features – saves Batch File containing multiple OSTs to load and convert these files into corresponding PSTs even after a time gap; saves complete mailboxes with Convert Mailbox feature; splits and saves PST files ‘By Date’ or ‘By size’ as required. If you have a large PST file, which is on the verge of damage or corrupt due to its size, split it with the Splitting module of this MS Outlook organizer tool, and create small PST and manage Outlook inbox mails efficiently. This module enables splitting the PST file on the basis of Date, Size, Mail Id and mail Folder. The Merge PST module is very useful to combine multiple Outlook PST files into a single file. It facilitates the option to merge or join PST files easily without loss of a single email. By using this module, you can merge or join all Outlook items like Emails, Calendars, Contacts, Notes, Journals and Tasks. A growing Outlook PST file creates numerous issues; however, compaction is the best option to avoid them. 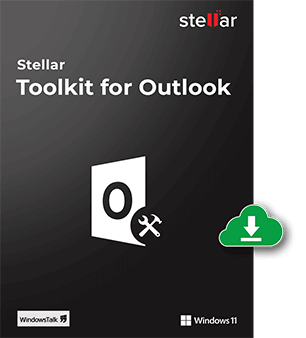 This module of Stellar Toolkit for Outlook compacts a both a growing PST file and the OST file, thereby avoiding any unexpected crash of your Outlook profile. Sometimes, users delete their emails and other mail components, permanently from their Outlook profile. Such intentionally or accidently deleted emails are recovered with unique Deleted email recovery software. Along with emails, the recovery software also recovers mail attachments, contacts, calendars, journals and more from Outlook Data files. With the duplicate remover module of this MS Outlook Mailbox Manager, it is easy to filter out all the redundant and junk mails from your MS Outlook profile. This brings vital help in decreasing the overall size of your Outlook mail account and avoids any intermittent PST damage. Forgetting the password applied to the Outlook account is no more a worry. The Outlook password recovery module of the software provides a set of six passwords that you can use to unlock the Outlook account. Is it possible to recover lost password of an encrypted PST? Yes. You can recover lost or forgotten passwords of Outlook PST files using the ‘Recover PST Password’ option of the software. How duplicate mails can affect the performance of the system and how to delete them? Duplicate mails in the mailbox, specially the mails with attachment occupy unnecessary space and adds to the size of PST file. An oversized PST file is prone to various issues including corruption, making the mail items inaccessible. The ‘Duplicate Mail Remover’ option of the software removes duplicate mail items on the basis of several comparison criteria an prevents the PST file from getting oversized. Can I save the repaired PST file using the demo version of the software? No. The demo version of the software has some limited functionalities. Using the demo version, you can select, repair, and have a preview of the repaired PST items. The demo version of the software is very useful in evaluating the performance of a software. However, in order to save the repaired file, you need to purchase the licensed version. The full version of the software allows you to save the repaired messages in MSG, EML, RTF, PDF, HTML, DBX, and MBOX formats. What are the criteria using which the files can be split? The ‘Split PST’ option of the Stellar Outlook Toolkit allows you to split a heavy file into multiple smaller and manageable PST’s. You can either use ‘Split by Time’ or ‘Split by Size’ option to split a file. Stellar Converter for OST is a powerful software to convert inaccessible OST files into Outlook PST ..
Stellar Converter for OST Technician is a comprehensive solution that not only converts Outlook OST ..